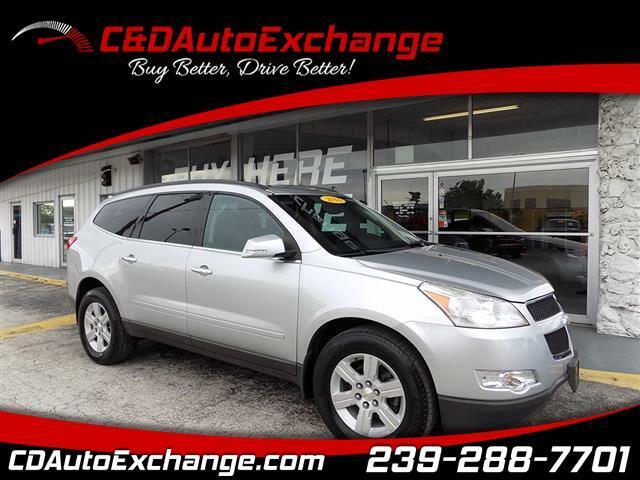 A classy family hauler for major excursions or everyday travel, the car-based crossover utility 2011 Chevrolet Traverse enters a new year without any radical changes. Nicely equipped with Automatic Transmision, XM Radio, cruise control and tray-under-floor storage. Powering the 2011 Traverse is a 3.6 liter V-6 power plant which optimizes variable valve timing and gasoline-direct injection. Standard engine output is a hefty 281 horsepower and 266 pounds-feet of torque. 120 Point Mechanical Inspection passed and certified. Need Financing?? We can get you approved!!! Call now 239.288.7701.